We’ve updated our Privacy Notice to make sure it’s simple and easy to understand. Take a look here. Many of our team are RNLI Crew for the local Redbay Lifeboat station. 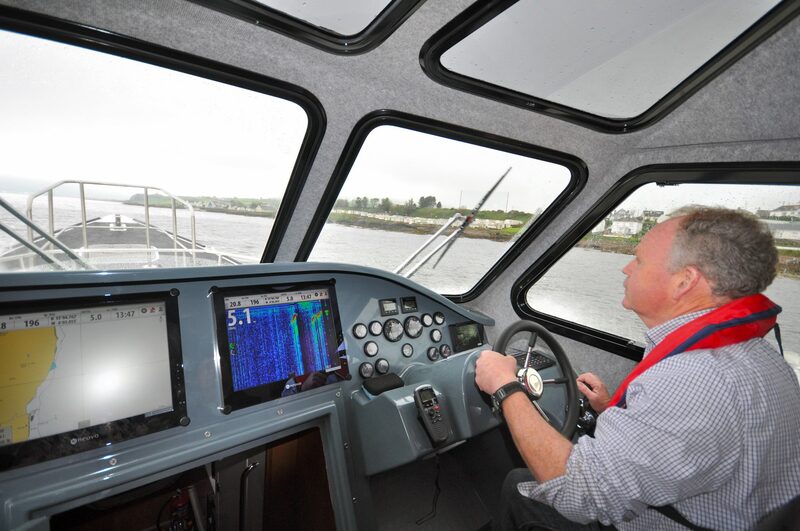 Our craft are renowned for their sea keeping abilities, build quality, safety, speed and comfort. our excellence is supported by our strategic partners. 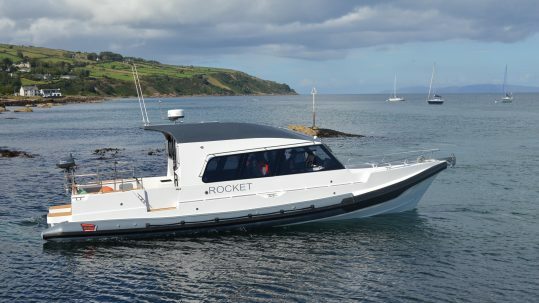 Redbay Boats has been building boats from its base in Cushendall, County Antrim for the past 40 years and was founded by Tom McLaughlin jnr, who is still at the helm to this day. Originally Redbay Boats focused its efforts on building commercial fishing boats using traditional wooden clinker techniques. 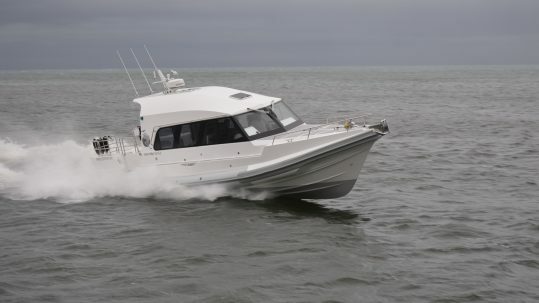 However, progress was swift and the company quickly diversified into a range of GRP fishing and sports boats which gained prominence through the 1980’s. 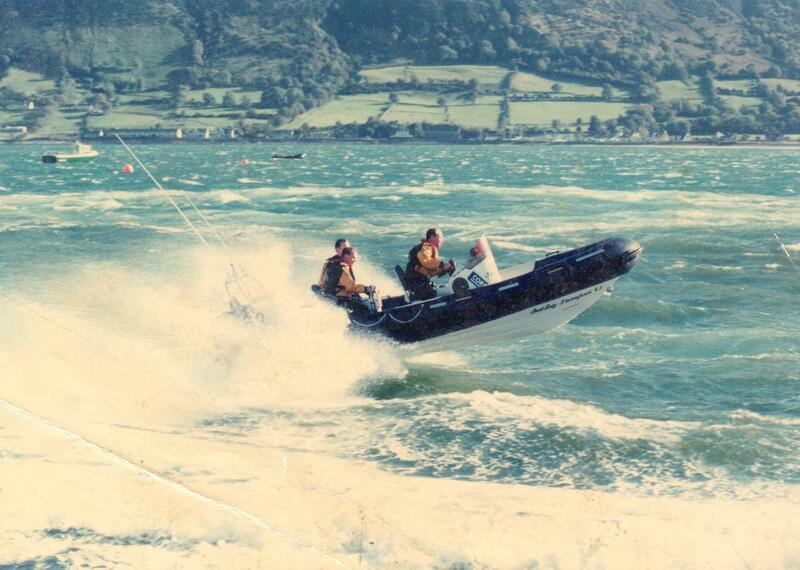 It was not however, until the early 90’s that the company had its ‘eureka!’ moment with the birth of the Stormforce RIB. Originally built at 6.1 metres the range developed and 2000 Redbay Boats was building RIB boats between 6.1 and 11.0 metres. Today Redbay Boats build a range of RIB boats for both commercial and leisure clients from 6 to 16 metres and are considered pioneers and a leading company within the UK and international industry. Redbay Boats has built in excess of 1000 boats and has exported to more than 30 countries. The company is still family run and remains as client and quality focused as ever. As the range continues to develop and we hope that you to will one day become part of TEAM REDBAY.